What is Physiotherapy in the Early Intervention Therapy Program? Physiotherapists (PTs) in the Early Intervention Therapy Program at the BC Centre for Ability offer services to children with developmental concerns or disabilities, and their families. PT’s work collaboratively with speech-language pathologists, occupational therapists, and social workers to provide screening, assessment, and intervention services to children referred to the Early Intervention Therapy Program. Services focus on helping children become successful in daily routines and participation in home and daily life. Physiotherapists are health care professionals who evaluate and diagnose motor challenges. Working in collaboration with parents and other caregivers, physiotherapist systematically address the child’s motor development difficulties through therapeutic activities in various environments. The ultimate goal of therapy is to help each child live, move, and participate in life as independently as possible. Physical therapists work with your child to assess their current level of motor function and then work with the family on a variety of service options available. PT’s have a key role in supporting families of children with a broad range of movement issues. A physician referral is not necessary to access the BC Centre for Ability Physiotherapy services. Please complete the Parent Request for Service Form or if you are a community professional please complete the Physician and Healthcare Provider Request for Service Form found in the Resources section to the right. Parent or guardian written consent is required to speak with other professionals about your child. 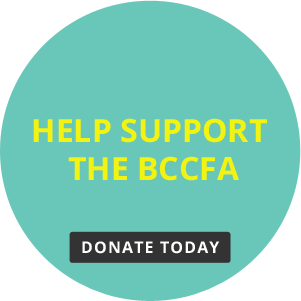 If your child is receiving services from another provider and you wish to transfer to BCCFA your request to transfer can be discussed with the Director of Physiotherapy. Decisions to transfer are based primarily on the clinical profile of the child.